"Sing Pledge & Pray" is now availble for screening events across America. Movie Theaters - Churches - Schools - Auditoriums - Community Centers and more! Please fill out the form below and we will contact you about hosting a screening event in your city. Slidell, LA @ The Grand Slidell, 7:30PM THANK YOU! Screening events can take place in a variety of locations. We have established relationships with top movie theater groups and independent theaters in most cities across America. You can also host a screening event in a location of your choice (churches, schools, civic centers, auditoriums, etc). We will walk you though the process to help you set up a great event. Best of all, there's no out of pocket cost to you when you follow our step by step plan for your screening! The first step is to fill out the screening form. Once we receive your submission, we will get back to you to get the ball rolling! 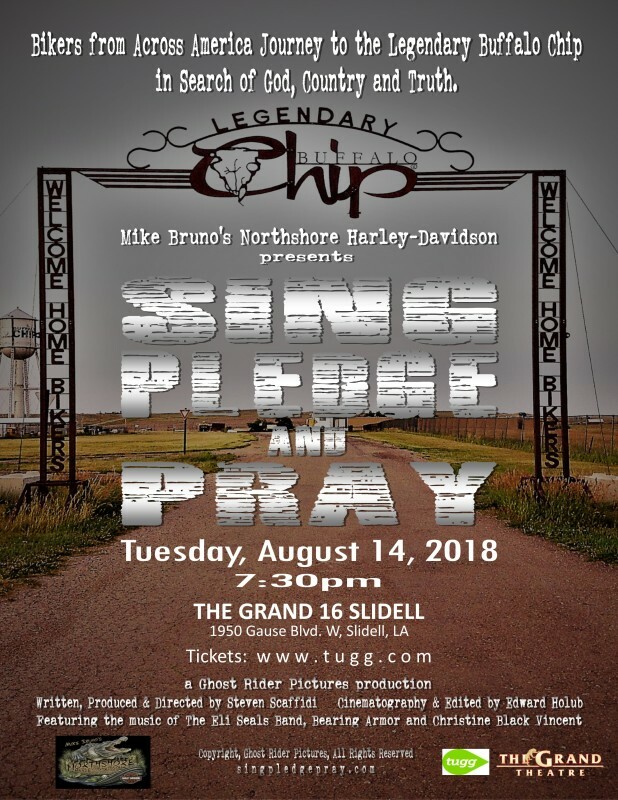 Host a screening of "Sing Pledge and Pray" at your local theater with TUGG!